Is it safe to drive again? 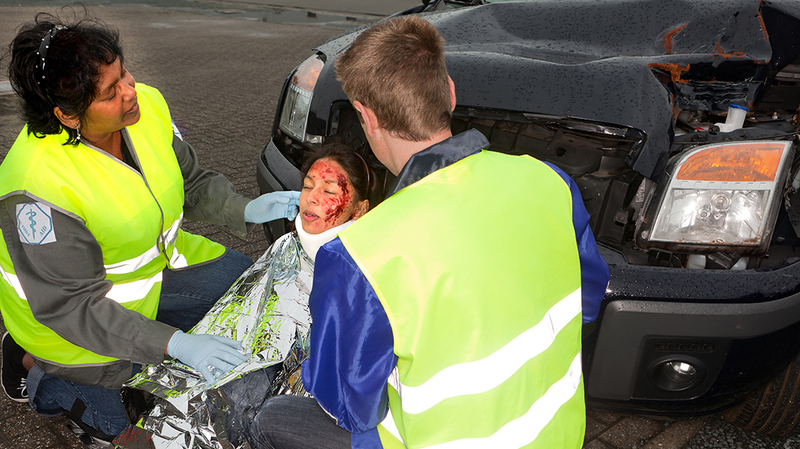 How often is someone injured in the U.S., from an auto accident? Most of these accidents aren’t fatal but do they cause minor injuries? True or False? If you guessed “True,” which most of you would, then you’re right. If you don’t feel injuries right away, you’re probably all right. True or False? But, going back to our last question, why don’t most people feel it until days later? The answer is: When we experience trauma our bodies flood our system with adrenaline and endorphins. Adrenaline is the fight or flight response and endorphins are a natural pain killer. Adrenaline gets you ready for a fight and endorphins make the pain a little less. Our bodies send both these hormones in an accident. Do you have to get hit by a car in order for your body to experience trauma? No, you can experience trauma by taking a fall, turning the wrong way or even straining yourself in the gym. You can also experience trauma, built up over time, when you sit at a desk. We call these experiences, micro-trauma. Now going back to the car accident. Your muscles tighten up, to guard against the impact. Your body’s protective mechanism feels this as danger and tightens up to protect itself. Since your body is intelligent, it tightens up, in proportion to the accident. Your dog jumping up to greet you may be classified as a micro-trauma. Getting hit by a 4,000 pound, moving vehicle is a major trauma! See the difference. Your body tightens up, in relation, to the impact. Your conscious mind doesn’t interpret it this way, many times, since it’s so quick, and many times, unexpected. But, our conscious minds can be deceived. In fact, our conscious minds, or working memory, can only hold “7 + or – 2” things, according to Princeton University psychologist, George Miller, known as Miller’s Law. This is where our subconscious minds take over. This inner genius is responsible for all of our bodily processes plus safety reactions like getting hit by a car. In other words, besides the 7 + or – 2 objects in our conscious minds, our subconscious does everything else, literally billions of processes. This amount of detail was needed to show how our subconscious response of DOMS, delayed onset muscle soreness, is a protective mechanism. The result of DOMS, if left untreated, is chronic pain, that may come, in the form, of fibrotic adhesions and scar tissue. This moves and grows into your body as stress. What is a major killer of Americans? Stress! Stress grows in your body from major and micro-trauma. Now, after these unpleasant facts, what is the cure? How can you relieve the stress while being healthy and cost effective? A safe treatment that has been used for thousands of years-Chiropractic. An intelligent chiropractor gently eases the built up stress of DOMS and lets your body relax and heal with grace and mastery. Chiropractic-A simple process with powerful results. To answer the headline question, “Is it safe to drive again?” Yes, with an intelligent chiropractor in your medical bag, you and your family are safe. By the way, the correct answer to the poll is 1) every 10 seconds!! !